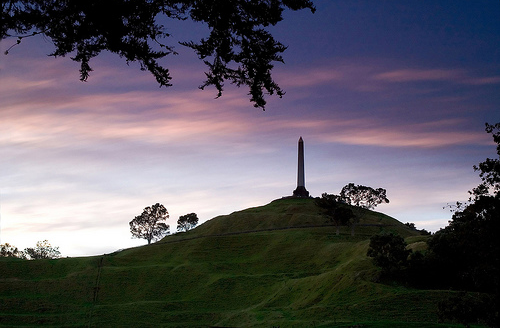 One tree hill is a very cool place to go on.When all of the year six's and some of the year fives at pt England school went to one tree hill we played games.we ran up the hill it was very tiring. After playing games we went to a little cottage. Where there were some people telling us some more information about one tree hill. Like how old it is and they even showed us a video clip it was about the volcano. Then we went to go to look at the nice view of one tree hill. We even saw our litters that some of our school did in the crater I didn't think that one tree hill had three crater's.I thought all volcanoes only have one crater. Then we ran all the way down the hill to catch the bus back to school that's when I was really tired.We just made it in time for the bus and one more game of captor the flag. The yellow team was good but the green team were the winners!!!! Then it was time to go back to school and that was the end of the day but we had time to rest . I was stool very happy that the green team were the winners when we got back to school.Then I said to my friend that was in the yellow team we won!!!!!!! Keep up the hard work and dont give up. Thanks dad for commenting on my blog dad see you back at home.